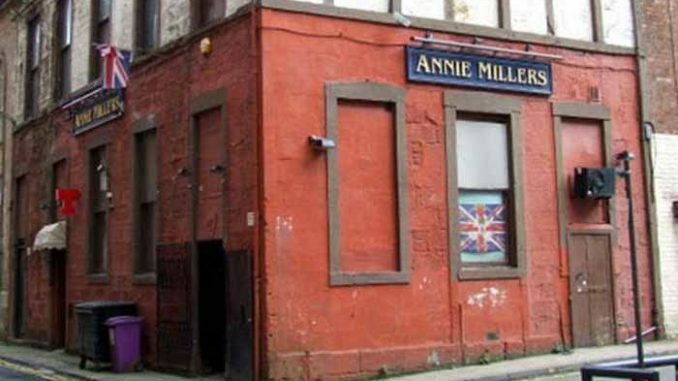 Annie Millers has been a favorite watering hole for Rangers fans to watch the game and get together with other like-minded sports fans. Though the property was sold, its regulars were ready to adjust to its new owners. But looks like they would have to make a 180 degree turn to adjust to the new ambiance of the place. The property was purchased by millionaire power-couple Andre Graham and Seamus Sweeney. They own the gay sauna (Pipeworks) next door and plan to expand their business by merging the Pub and the Gay Sauna into one unit. In short Annie Millers will become a feeder bar for the Pipeworks gay sauna. The couple own another gay spa complex in Belfast, which is also called The Pipeworks. Gay Baths – In Vogue Or Passe?